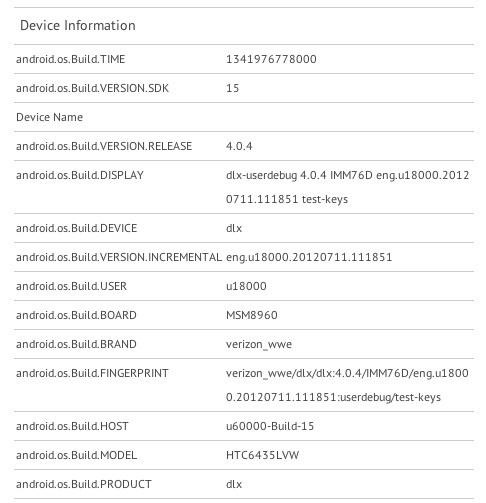 HTC Device Headed to Verizon Stops by GLBenchmark – 1080p Display, Model 6435LVW, and a New Snapdragon S4? Hold on to your pants, people. A new HTC device, with Verizon written all over it and codenamed DLX or dlx, popped up at famed benchmarking site GLBenchmark recently and has specs that are guaranteed to blow your mind. First, we can see the model number is HTC6435, making it sound like the follow-up to the Rezound which was HTC6425. Other than model number though, the Rezound and any other HTC phone in history will fail to compare. We can see that the device is clocked at 1.5GHz, but we get the feeling that this isn’t the standard S4 that has been in a variety of phones as of late. 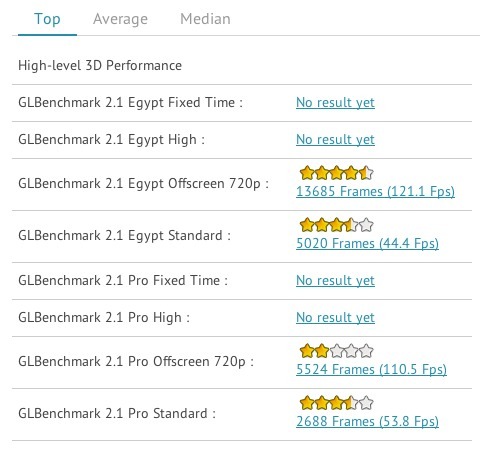 If you check out the benchmark scores, it hits well above 100 on the Egypt Offscreen (121.1Fps) and Pro (110.5Fps) 720p tests, something that I don’t know if any other phone has been able to accomplish. The HTC One X for example, topped out 64.8Fps and 94.8Fps, respectively. To reach scores that high, we would almost expect this to be the MSM8960T chipset with the Adreno 320GPU. It’s basically like a turbo charged or “Pro” version of the 8960 that most phones are using these days. Aside from the processor, we need to talk about display. According to this benchmark, it has a resolution of 1794×1080. Yes, you are reading that correctly – this phone has a 1080p display. Along with the new processor and mega-display, the phone runs Android 4.0.4 and will connect to Verizon’s 4G LTE network. Is this the rumored 5″ device that we first heard about back in April? I’d say it very well may be. And yes, it’s OK to pick up your jaw now.